Barcelona has established itself as a sustainable tourist destination, with responsibly managed tourism and cutting edge strategies which seek to ensure it is a model city for the future. For locals and tourists alike, the city offers a variety of shops, restaurants, and even hotels with sustainability in mind. 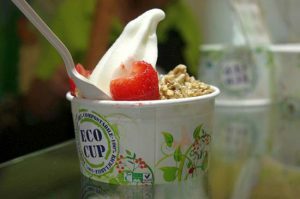 Check out the list below for some eco-friendly hotspots. 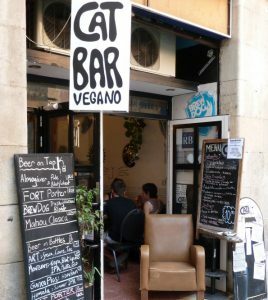 Situated in the trendy El Born neighbourhood, just off Via Laietana, lies CatBar, combining some of the world’s best inventions: vegan burgers and craft beers. This cat-themed, funky bar offers about six different burger options as well as side dishes. Their craft beer selection is almost entirely local, and if you’re new to the craft beer scene, the staff will happily help you out! 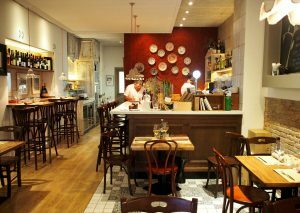 Due Spaghi provides a welcoming and inviting dining atmosphere, while taking a great deal of care in what they do. The kitchen and concept is based on a mix of Catalan and Italian cuisine, and culture is rooted in their work. They only use local products and build transparent working relations and connections with their producers through the use of seasonal products. Many dishes are vegetarian friendly and are made with great care. It is built on sustainable principles with value for local and regional food products, making it an excellent role model for all. 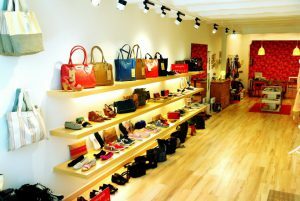 Everything in Amapola is vegan…from shoes and clothes to bags and wallets. All products are made from non-genuine leather and there is guaranteed to be no use of silk, wool or feathers, plus, everything is cruelty free! In addition to their environmentally free design, Amapola also pays a great deal of attention to nice design and high quality. Supporting an important cause through fashionable designs is pretty commendable…let’s hope this trend continues. L’estoc isn’t just your average furniture shop, it’s a social enterprise with sustainability at its core. 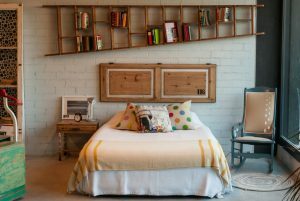 They make their furniture by recycling unused objects. In addition to their sustainable products, they also greatly value high morals and ethics, as well as giving back to the community. They employ people with disabilities, which is a much-needed initiative in a place where employment rates of disabled people is alarmingly low. When shopping at this store, you’re not only making a difference to your own lives but to the lives of others and to wider society by contributing to a business with sustainability at the forefront of its practices. 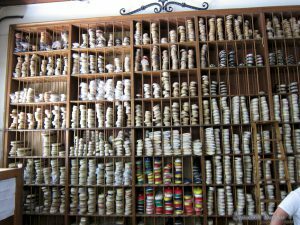 In the 1940s, this well-known espadrille shop used cutting edge technology to create the then emerging shoe. Nearly 80 years later, the trend has returned to the fashion world. La Manual Alpargatera sells high quality, fashionable espadrilles made of only natural materials. Each pair is crafted with a fine artistry, combining tradition with uniqueness, appealing to men, women, and children. Check out our centrally-located apartments so you can be within walking or cycling distance from the city’s best sights and organise your stay the sustainable and environmentally-friendly way! Hollie is a British writer living in Barcelona. She is a regular writer for Apartment Barcelona, a leading online apartment rental company with over 1000 apartments in and around Barcelona to rent for short and long-term stays.